LPCover Lover | The “Boop-Boop-A-Doop” Girl! If I may point out the obvious, this isn’t exactly a 45, although it may or may not turn at that speed. There are four song titles listed, indicating that it’s an EP. the ‘X’ prefix was what MGM used for it’s EPs. 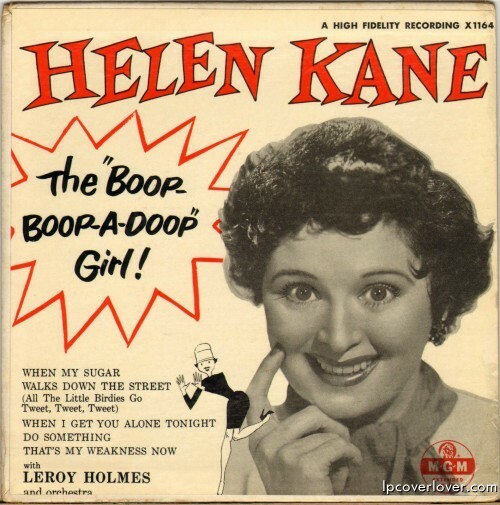 She was (probably) the inspiration for Max Fleischer’s Betty Boop! @Nicholas she was definitely the inspiration for betty boop (tho’ the voice of betty was done by mae questal). if you look at a young picture of helen, you can definitely see they made betty look like her (at first, tho’, betty was actually a dog, not a human). In Brazil we call this disc Compcto Duplo( DoubleCompact), cuz has 4 songs in 33rpm.